Home » Arts & Entertainment » What Is Popeye’s Arch-Enemy’s Name? What is Popeye's arch-enemy's name? To understand Beck’s recollection, let’s look at the history of Popeye’s bearded rival. E.C. Segar created Bluto in 1932 for the story The Eighth Sea, published in the daily Thimble Theatre comic strip. Fleischer Studios chose Bluto to become Popeye’s perennial opponent on film. Popeye’s theatrical cartoons premiered successfully on television in September of 1956. Bluto, after a long absence, returned to the daily Thimble Theatre strip on March 27, 1957. By this time the feature was handled by writer Ralph Stein and artist Bela “Bill” Zaboly. Paramount Pictures claimed they owned the rights to the name Bluto, thinking he was a creation of The Fleischer Studios. Thus when King Features started production on their own Popeye cartoons they renamed Popeye’s enemy, Brutus. The King syndicate apparently forgot Bluto’s roots in its very own comic strip. 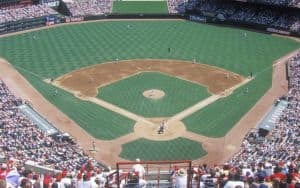 This change overlapped pretty easily on film but was more challenging in print. Bud Sagendorf took over production of both the daily and Sunday strip in 1958. He also was writing and drawing the Popeye comic books of the period. Since the name Bluto could not be used, Sagendorf had the sailor encounter several brutes with no name, eventually creating Sonny Boy, the son of the Sea Hag. The first mention of the name Brutus in the Sunday strip occurred Sept. 30, 1962. The use also occurred a few months later in the daily strip of Jan. 29, 1963. Both story arcs revolved around Sonny Boy and the Sea Hag. During this time, however, Sagendorf never made it clear whether Brutus was Sonny Boy’s name or an entirely separate character. In the Popeye comic book, meanwhile, the nameless muscleman also became known asSonny Boy, though eventually replaced by the bearded Brutus. 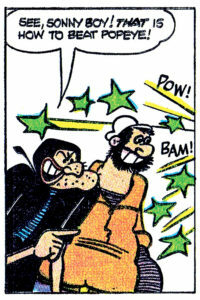 The name Brutus debuted in Popeye#64 (1962), also featuring an unnamed brute in a different story within the same issue. Sonny Boy returned in Popeye#66 (1962) but Brutus finally weighed anchor in Popeye#67 (1963). Recently Bluto and Brutus have been depicted as twin brothers. Hy Eisman, who handles the Popeye Sunday strip, had the pair team up with the Sea Hag on April 5, 2009. 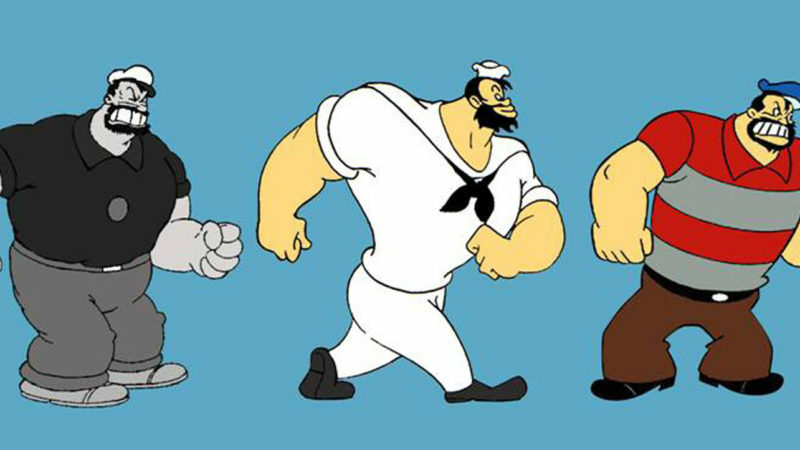 Today manufacturers tend to use the Fleischer Studios design of Bluto … but call him Brutus. Regardless, the brute’s name change had nothing to do with a dog owned by a mouse wearing white gloves. Entertainment historian Fred Grandinetti has been writing about Popeye since 1983 in numerous magazines, newspapers and websites. Grandinetti also produces the award-winning cable access series, Drawing with Fred, for Massachusetts cable-access television. For more: facebook.com/DrawingWithFred/.